Rocks, roots and turns can make pedalling impossible, but there’s still extra speed to be had. Pumping downslopes – by pushing down and forwards on the pedals – can give you a substantial boost. It’s all in the timing. Keep practicing – you’ll be in no doubt once you get it right, as you’ll surge forward. You’ll lose pedalling efficiency, but gain room to lower your centre of gravity and to move independently of the bike. Both things are key to maintaining control – and that, on rough or loose ground, is actually the key to speed. With a road bike, you lean in to corners to keep the tires as upright as possible, but a mountain bike works the opposite way. Pushing the bike down into the corner tips it onto the shoulder of the tire – which is then forced into the dirt for grip – while your body stays relatively upright. This way, slides make the bike want to lay down underneath you (which is relatively easy to stop). Do it the road bike way, and your weight drops down the inside of the bike – and that’s hard to stop. Light, skinny tires with a low-profile tread are fast on climbs and smooth surfaces, but slow in the rough. Tougher (and heavier) carcasses are less likely to puncture, and can be run at lower pressures for more grip and less skittery deflection. Taller, chunkier knobs and squarer profiles roll slower on hard surfaces, but generate far more grip on rough singletrack – meaning they’re actually faster. Check out FSA’s choice of wheels, optimised for different types of mountain biking disciplines and available in a choice of 27.5 and 29in diameters. It may not be aero, but control matters more. Stand up with the pedals level, drop your hips back (a little) and down, and keep your knees and elbows in a relaxed bend. The dropped saddle is a huge help here, as it lets you get your centre of gravity low. It’s natural to look at what’s going under your front wheel, but don’t! Look as far ahead as you can to give yourself time to react – you can plan your moves and use your sense of timing to deal with the obstacles themselves. You’ll find looking further ahead helps with balance, too. Look at the whole trail ahead of you rather than getting sucked into the previous rider’s wheeltracks – don’t just follow the obvious line. It’s more likely to be unintimidating than fast or smooth. For instance, the least capable riders may go around a rock when going straight over it would make the next corner easier. Then everyone else follows their tracks. 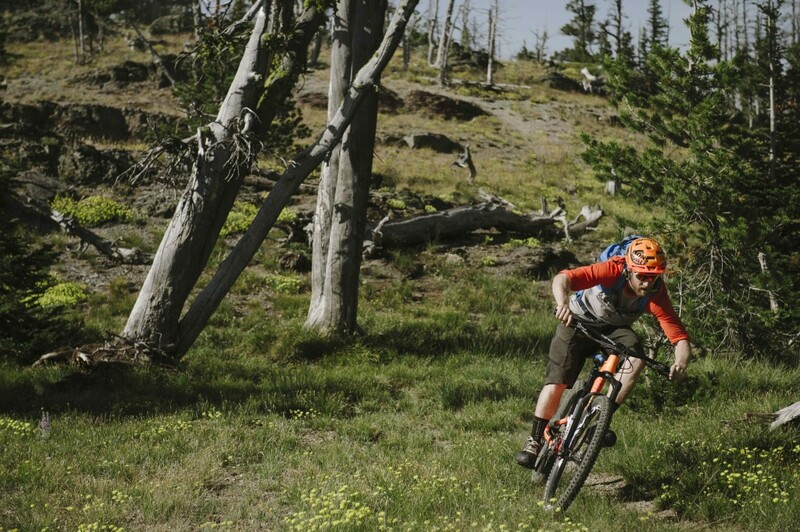 Or the trail may drop low across a camber and over a mess of roots instead of staying high over one or two much bigger ones, or run wide into a rut when there’s a less mangled inside line. Look for straighter, smoother and faster lines that maybe harder to get onto, but are easier to exit. 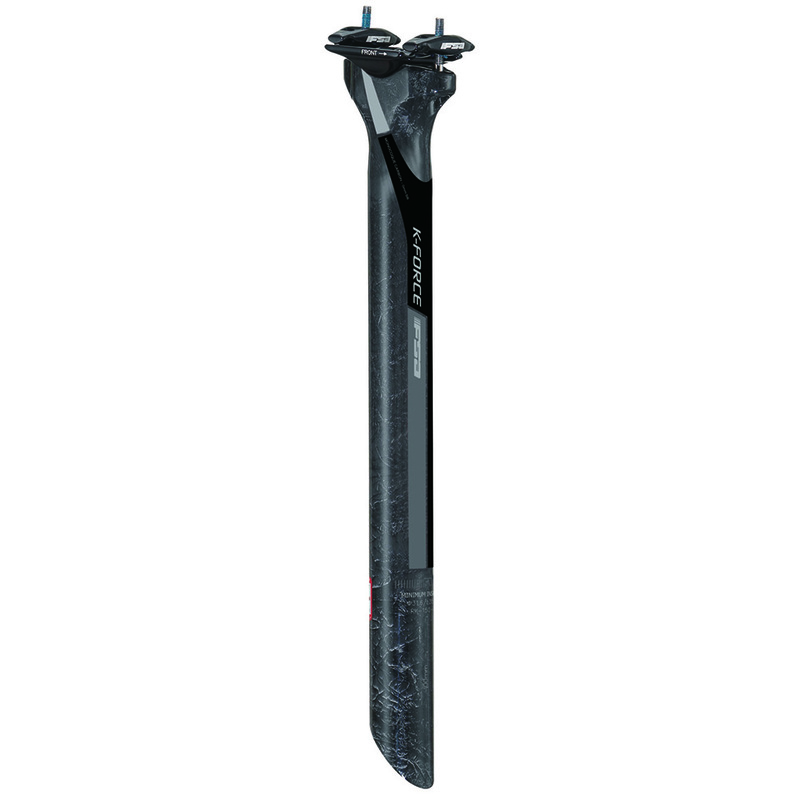 Get the best from your mountain bike – checkout FSA products including wheelsets, bars and disc brakes.